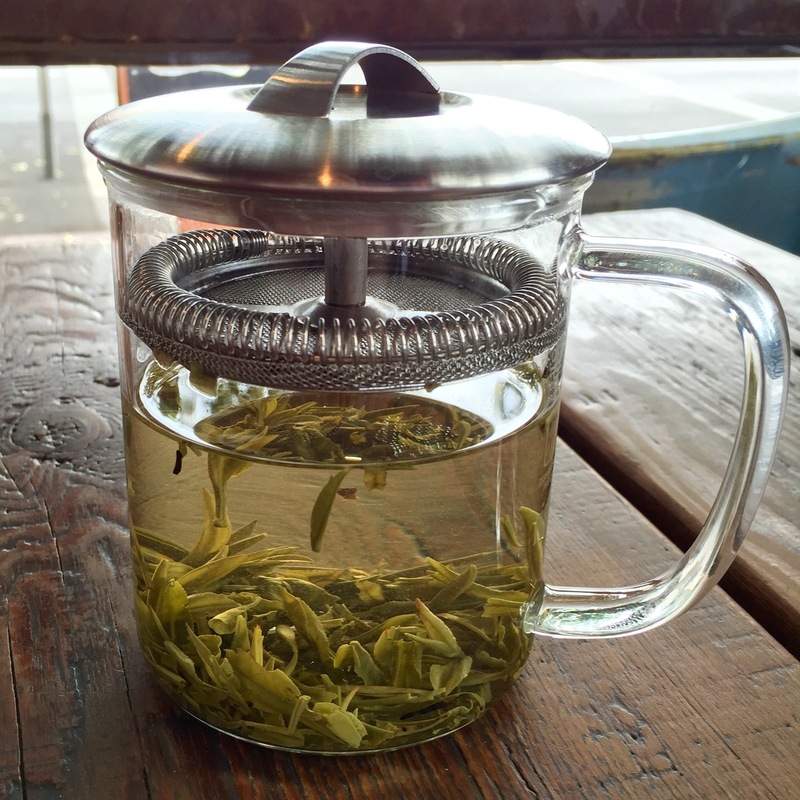 Shan Mao Feng green tea from Seven Cups, at Exo. Photo of the tea container and label, kind of cool. Just looking at that picture calms me down. It’s delicious tea, too. Good for 3-4 steepings, soft-edged and mellow. We used to get our tea at Teavana but it’s not a close drive for us, so an online source would be great. Another option would be an Asian market, if you have one near you. The various ones here often stock all kinds of different teas, though it’s usually sold in bulk, and not as high quality as something like Seven Cups. Oh, Seven Cups looks nice! And yes, I live within 5 miles of about 10 Asian markets, so that’s not an issue. But the quality has always been suspect to me, mostly because I judge them based on the cleanliness and organization of their merchandise and shelving. 🙂 Unfair, I know, but I’ve occasionally found some sad-looking wares covered in a fine layer of dust. I’ll try Seven Cups. Thanks for the recommendation! You bet! Agreed on the market sketchiness. I am enjoying a tour of this site. Your footprint is large and well done! Thank you for the swell presentation in our class this week. I got several good points. Thanks for stopping by, Lance. Glad you enjoyed the Pima College WordPress presentation.